Japanese messaging service Line is moving beyond just texts and stickers to include video features, as it continues introducing new (and more creative) ways of communicating in its march to become a content platform. The latest version 3.9 of Line has been updated with video calls, which are available on all major platforms including the iPhone, Android devices and PCs. Users can switch between video and voice anytime during the call for more convenience and freedom. Another fun addition to Line is Snap Movie — a Vine-like feature that allows you to create 4-10 seconds of personalized video clips with your choice of background music and can then be posted to your in-app timeline, where they will be played on loop automatically. Snap Movie has been introduced to the iOS app first, but will roll out for Android users soon. 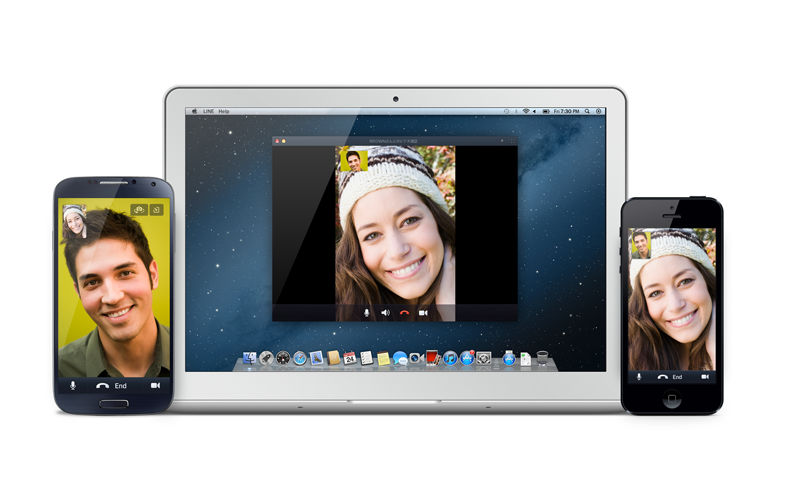 The latest Line update is also getting improved photo and video-sharing functions. Users can now create up to 100 albums, with each containing 100 photos, within a chat. Once a video gets uploaded in a chat, it also does not need to be uploaded again for you to share with other users in your timeline or other chats.